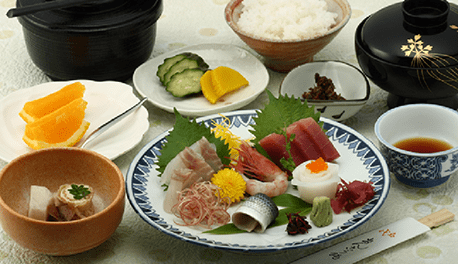 April to October: Lunch set with fresh seasonal ingredients at reasonable price. November to March：Only Monkfish dishes may served. 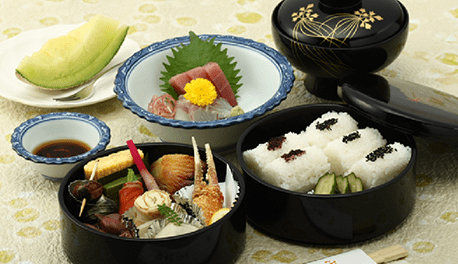 Recommended lunch set, colorful and containing various dishes. Fresh sashimi directly from Tukiji market. 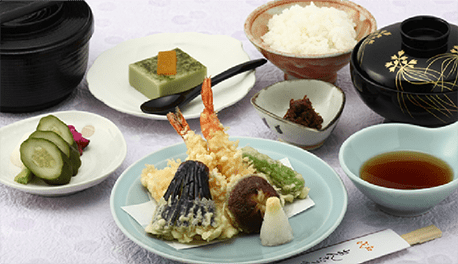 Assorted tempura of strictly selected seasonal ingredients. * Other new menu will be prepared and served. Copyright © 2000-2016 いせ源. All rights reserved.